For those of my readers who live along the M4 corridor.........this post is for you! I've been going to the McArthur Glen Swindon outlet since it opened 21 years ago. 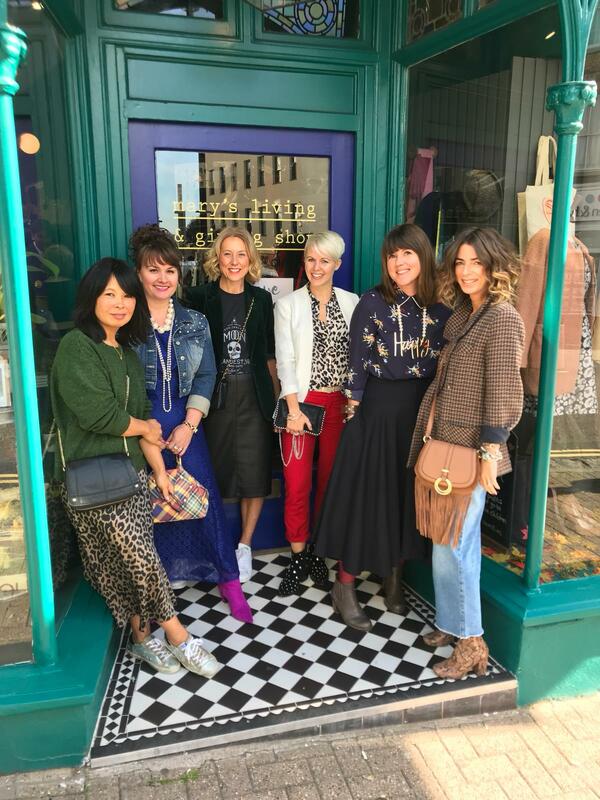 When I originally started to visit the outlet I would be heading straight to the huge Gap outlet, my mum has always loved it for the Jaeger and Hobbs stores and the DH has always made regular trips on his travels to fill his boots with Ralph Lauren. 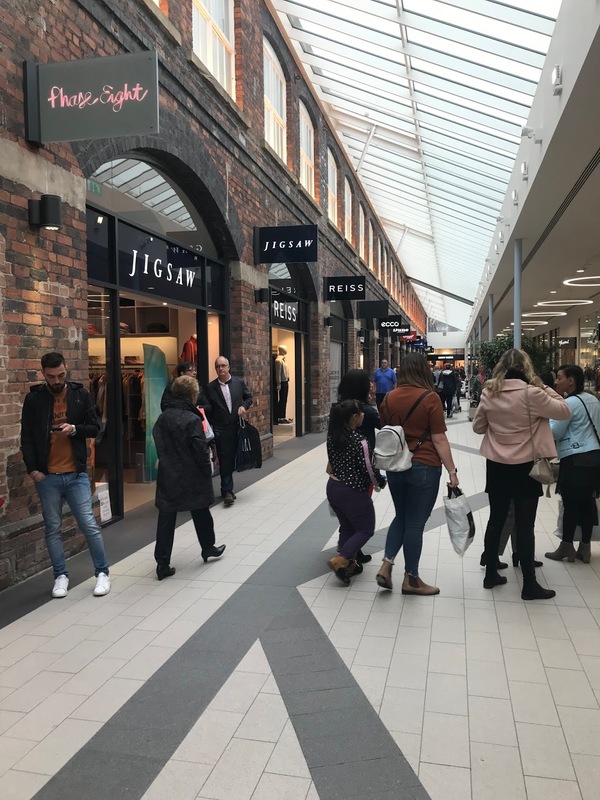 In the past few years it has increased in size and had a bit of a facelift......consequently it has attracted some really great brands that are new to the Swindon outlet. When I visited a couple of weeks back it reminded me of what a great place it is to shop........so it is now firmly back on my radar! With over a 100 stores it's meant that I've already been back this weekend and am planning another trip in a couple of weeks as they have a couple of new stores opening! Let me start by giving you a bit of a virtual tour. One of the great things about Swindon is that it is entirely covered over.....meaning it's a great place to go during the cold and rainy weather. Of course it's perfect during the scorchio weather too.....when the sun is shining it's a lovely place to hang out as it literally lights up! A few cries for help have inspired this blog post! I have been asked what to wear out on an evening. In truth I don't often get out asked out that much to evening events. I do like to 'dress up' but there is rarely the occasion to don a dress and heels. Our evenings out generally consist of an early visit to a local eatery within walking distance, the pub or golf club for drinks or around to a friends for dinner. Occasionally I meet a friend straight from work for dinner in Bath but on the whole it's usually an outing that involves our 12 year old daughter coming along and our friends kids being around to entertain one another. I need my clothes to be versatile so I'm going to show you how I adapt my pieces so that they can be worn day or evening.....or day to evening. First up is an outfit I wore recently. I knew I was meeting a friend for dinner straight from work so for the day look I just wore a (past season from H&M) metallic pleated skirt with a charcoal Uniqlo cashmere sweater with Converse and my Carloe London Edie bag. For my dinner date I just swapped the Cons for a leopard print Mary Jane shoe (ancient from New Look....a fiver in the sale) and swapped the bag. Voila! Switched the look up a bit to make it more evening appropriate.